This full enclosed aluminum holder measures 10'8"L x 11"W x 6"H and is perfect for hauling pipe and conduit. This fully enclosed aluminum holder measures 10'8"L x 11"W x 6"H and is perfect for hauling pipe and conduit. Spring up lockable rear door accepts padlock (sold separately). 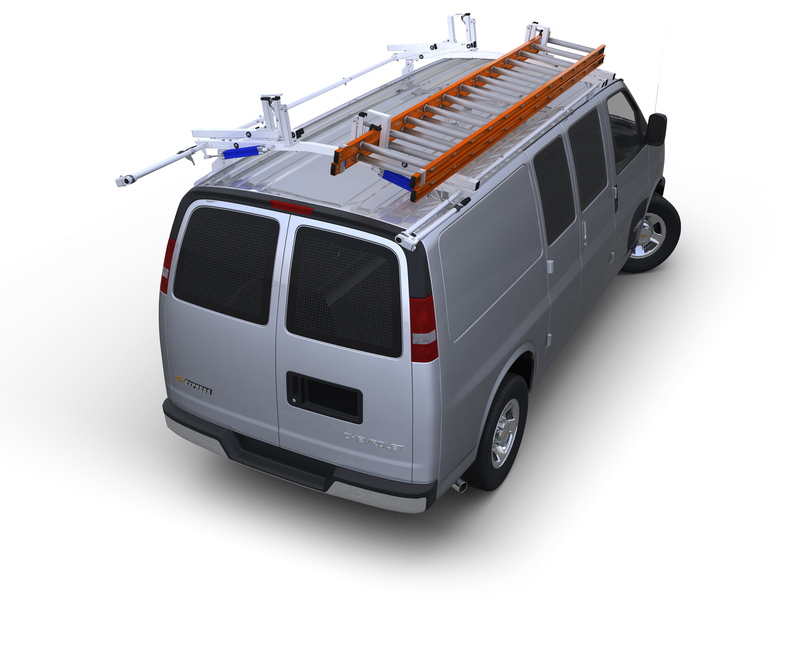 Easily attaches to your ladder rack with two, 1" stainless steel mounting straps. All steel parts are finished with a durable white powder coat finish.